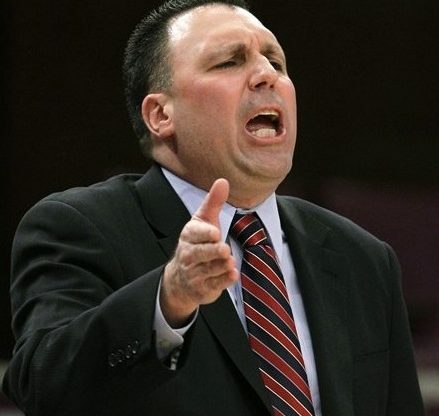 St. Francis Terriers Men’s Basketball head coach Glenn Braica was named coach of the year for the Northeast Conference following a surprising season in which St. Francis finished fourth in the conference. In a preseason poll, St. Francis was selected to finish 11th out of 12 teams in the conference. Battling a tough outer-conference schedule that featured Seton Hall, Hofstra and St. John’s as well as the loss of senior point guard Dre Calloway early in the season, it looked like the Terriers were destined to finish in the cellar of the NEC. Instead, St. Francis went on to dominate their inter-conference rivals, posting a 12-6 record against NEC foes and finishing fourth in the conference. St. Francis will host their first postseason game since 2001 on Thursday when they take on Quinnipiac in the first round of the NEC Tournament. “There was a little chip, [on the player’s shoulders] there as probably a little motivation, but as time goes on, that wears off and you revert back to your foundation and these kids have a good foundation,” said Braica. One of the major reasons behind the Terriers success is freshman Jalen Cannon, who averaged 8.8 rebounds per game, the second most by a freshman in the nation. His efforts earned him a nod to the NEC’s All Rookie Team. Along with Cannon, freshman Brent Jones also stepped in to take over the role as point guard for the Terriers. Along with the young talent on the roster, the veterans also played a major role for the Terriers. Forward Travis Nichols began the season with a monster performance against Seton Hall, which earned him NEC Player of the Week honors. Along with Nichols, Akeem Johnson also provided St. Francis with a presence in the paint while Stefan Perunicic and Ben Mockford were dangerous from Beyond the arc. Johnson, Mockford and Perunicic each ended the season tied for the team lead with 11.6 points per game. “I think we had a good mix of veterans and young guys and I think Jalen’s rebounding helped us out a lot also,” said Braica. Calloway will return to St. Francis next season after taking a medical redshirt this season. Perunicic and Newton will be the only players graduating this year. Despite the accolade, Braica isn’t quick to take credit. Braica, who is in his second year with the Terriers, took over for Brian Nash, who resigned after five years at St. Francis due to “personal reasons.” Braica inherited a basketball team that finished the 2009-10 season with an 11-18 record, missing the NEC Tournament after failing to maintain a 10-point second half lead over Central Connecticut State in their final regular season game. The win would have clinched the #7 seed in the tournament for the Terriers. Braica has led the Terriers to the conference tournament in both season as head coach, compiling a 30-29 overall records in that timeframe and a 22-14 record in the NEC. Last season, St. Francis was the #5 seed in the NEC Tournament.